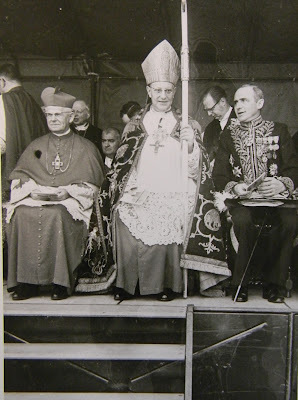 Born in 1909, Bishop Emile-Joseph De Smedt of Bruges was a prominent Cardijn supporter and ally among the Belgian bishops. His sister Livine was a fulltime worker for the YCW in the Bruges diocese. De Smedt worked closely with Cardijn during Vatican II.